NZME is New Zealand’s premier integrated media company with a portfolio that includes market leading magazines, newspapers, radio stations and more! 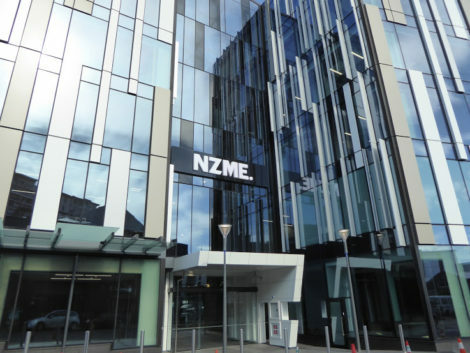 The brand new NZME (New Zealand Media and Entertainment) central headquarters at 151 Victoria Street West was officially opened by Prime Minister John Key on 4th November. A five star Green Star Design rating was awarded for the construction plans which met Green Star criteria. The building consists of six stories: three levels of basement parking and three office floors, encompassing over 20,000 square metres in total. NZME have over half of the available space. CGI Electrical requested lighting control specialists Intelligent Environments to provide a solution to meet the varied use requirements for lighting control for this high profile new building. DALI lighting was installed in the radio studios and the addressable DALI ballasts were programmed to allow easy push button control for the users. The Board Rooms include a combination of switched circuits and DALI feature lights. A simple C-Bus solution provided the required backbone with new eDLT digital switches, programmed to provide four page scene control for these areas. Elsewhere, including open plan spaces, toilets/washrooms, etc direct switching was supplied via over 400 GEFL 230V occupancy sensors (with integral lux). 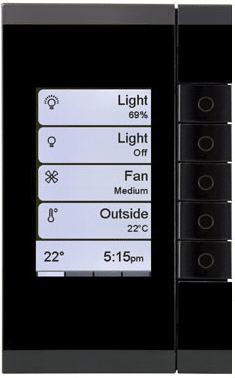 These allow each room/area or circuit to be controlled independently. This project is an excellent example of today’s requirement to ‘think outside the box’ when it comes to providing the optimum lighting control solution whilst remaining within limited budget parameters. The use of a variety of different products can sometimes produce a more flexible lighting solution for a project where minimal budget has been allocated for lighting control. 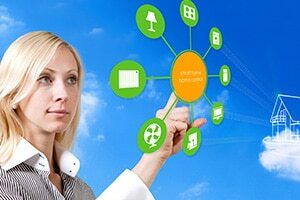 The important factor is that lighting control specialists are contracted who have a sound understanding of all available products and who possess the ability to provide a robust and seamless solution.